Clontarf Castle Hotel Wedding Caricatures: sometimes I file photos from a wedding away to post on my caricature blog later, and sometimes they fall down the back of the couch a wee bit! 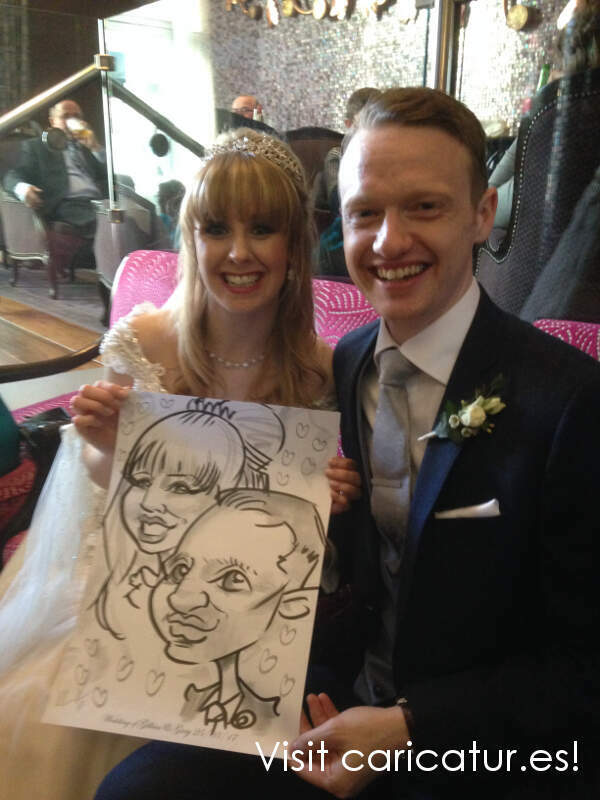 These wedding caricatures were part of the drinks reception entertainment at a wedding in Clontarf Castle Hotel in Dublin. They went down a storm and many of the guests were in more stitches than a couple of seamstresses having a race. 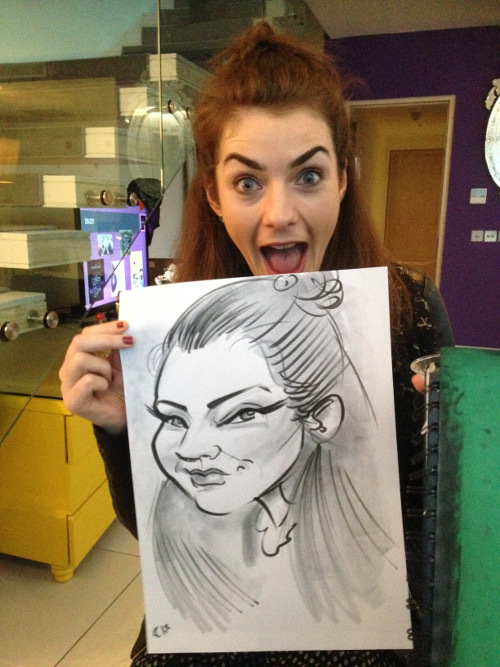 Live Caricatures for Product Launches and Promotions Dublin! 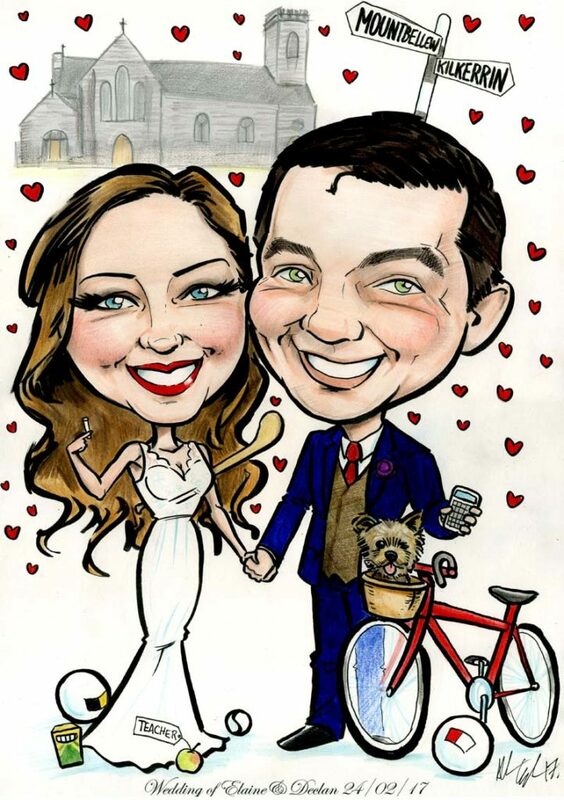 Artwork from a recent caricature signing board featuring the couples interests including cycling and camogie! Live Caricatures in the Morgan Hotel Penthouse, Templebar! Lots of fun in the Morgan Hotel last week at the event in their funky penthouse!